It is not easy to discuss J.S. Mill's childhood and education without regard for what he ultimately became. The principal source for that childhood and education is his Autobiography. 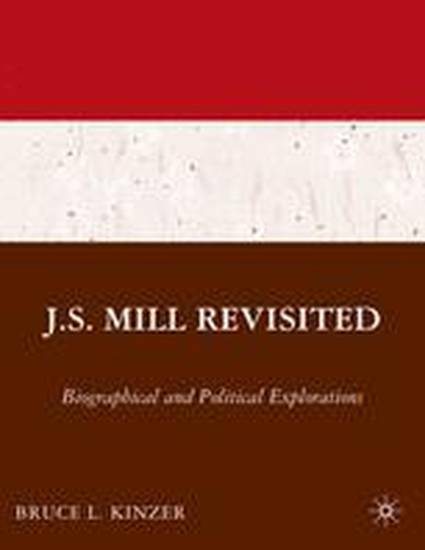 The first draft of this classic account was composed in 1853-54, when Mill was middle-aged and justly renowned as the author of A System of Logic (1843) and The Principles of Political Economy (1848). Its purposes were shaped by the personal and didactic concerns of Mill and his wife, Harriet Taylor Mill, during the first half of the 1850s. In the opening paragraph of what has come to be known as the "Early Draft," Mill offers two reasons for writing his autobiography: first, the age in which he lived evinced a conspicuous interest in education and a record of his own "unusual and remarkable" training could throw valuable light on what could be learned in childhood; second, that age was also one of "transition in opinions" and as such stood to gain from "noting the successive phases of any mind which was always pressing forward, equally ready to learn and unlearn either from its own thoughts or from those of others." The final version of Mill's Autobiography (he last worked on the text in 1869-70) adds a third object, one that mattered to him, he says, more than the others. He wanted to pay formal acknowledgement to those who contributed to his moral and intellectual growth, "some of theme recognized eminence, others less known than they deserve to be, and the one to whom most of all is due, one whom the world had no opportunity of know." Harriet Taylor Mill was the person "to whom most of all is due."